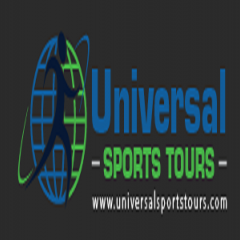 Universal Sports Tours are a leading Australian sports travel company that helps thousands of sporting enthusiasts each year enjoy their favourite sporting event and we have a proven track record since 2009. We can help you with tickets, transfers, flights, accommodation and more. Most of our travel packages come with our branded tour merchandise pack for that extra special souvenir from the event. We can cater for groups, corporate travel and sports clubs.